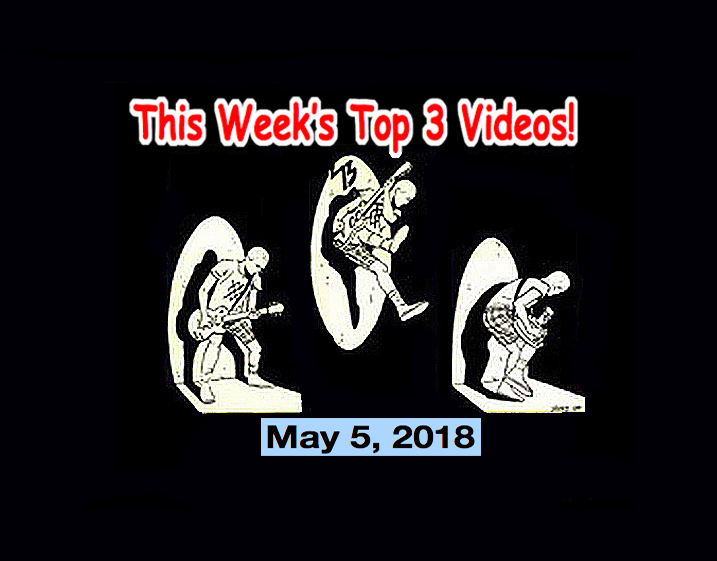 Top 3 Indies Videos 5/05/18! Crazy & The Brains, Brigitte Handley, Girls In Synthesis, Pen Friend Club (Jpn)! Do yourself a favor and go check out Pulsebeat Radio Show. It’s killer! At #2 is a special track sent to us by Brigitte Handley herself! She writes: “Here’s a sneak preview of my new clip for Distänt Mind before it’s official release. Hope you enjoy it. – Brigitte” Most of us will know Brigitte from her other outfit, “The Dark Shadows.” Today’s track is her latest solo work. SPOTLIGHT ARTIST! Today’s spotlight goes to a local Tokyo band that has just released their 5th album. Their name is the “Pen Friend Club” and they will be guests on my radio show, The Mike Rogers Show on Sunday, May 6, 2018 from 5 am ~ 7 am. You can listen live on InterFM 897 in Tokyo, Radio Neo 79.5 in Nagoya or nationally broadcast (and On-Demand) on radiko.jp). The Pen Friends describe their music as “Mid Sixties West Coast Rock” and their influences show it: The Beach Boys, The Tradewinds, The Association, The Fifth Dimension, Bruce & Terry, Ronny & The Daytonas and more. That is so reminescent of a classic sixties record jackets…. Herb Alpert’s Whipped Cream and Other Delights or an Association album? Fabulous!